InfinitiCook 360R Halogen Oven is a multi-utility appliance that can Roast, Grill, Bake, Air Fry, Braise, Barbecue, Thaw, Slow Cook and Toast. It allows you to prepare a wide variety of delicious and healthy meals in lesser time than traditional appliances, and with less or no oil. This is possible because of the state of the art technology being used. 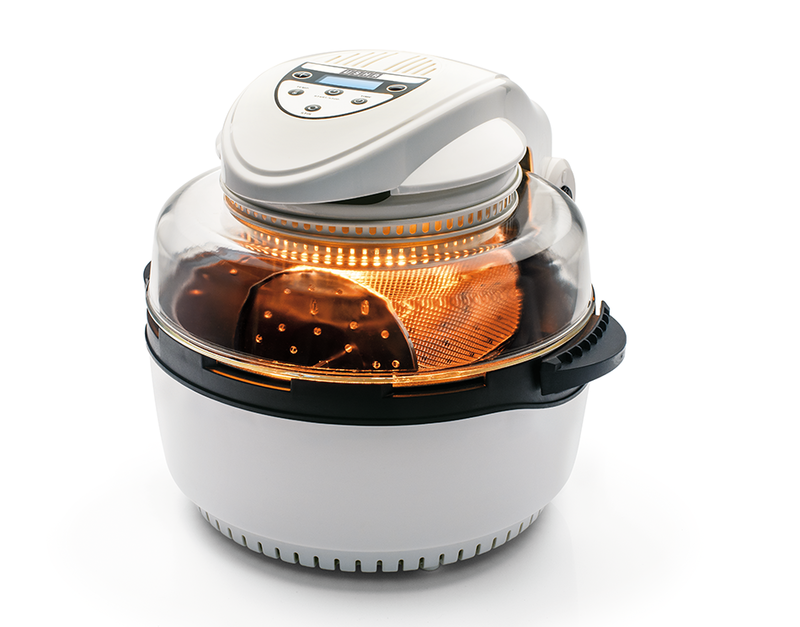 InfinitiCook Halogen Oven cooks via dual modes: Instant Heating from Halogen Lamp- It harnesses the power of light as a natural source of energy for effective and efficient cooking. 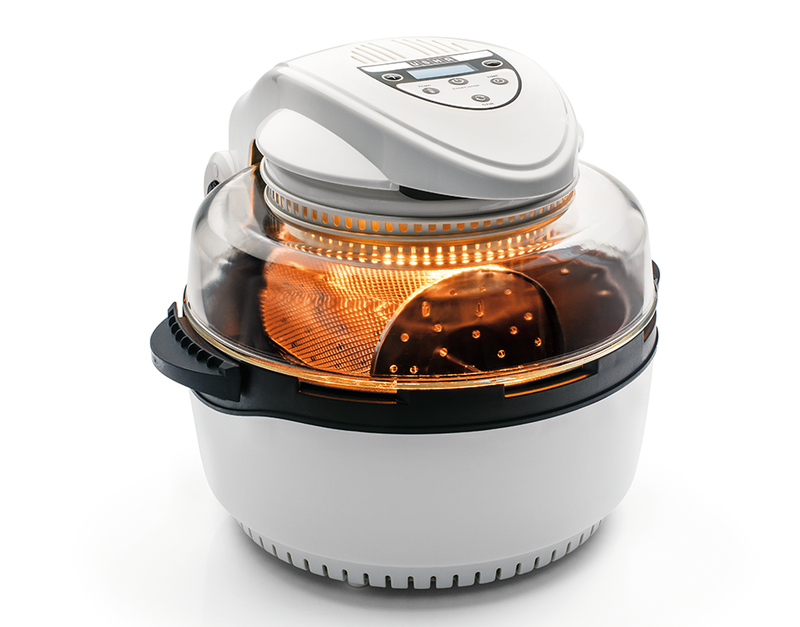 The direct heat from the lamp penetrates deep inside the food and cooks it evenly on the outside and inside.Convection heating- InfinitiCook Halogen Oven improves upon traditional oven cooking by using a powerful fan to heat air in the oven, providing fast and even cooking from all sides. Convection heating is best for baking, puffed pastries and cakes. Even Cooking from 360 degrees: The food is cooked evenly from all sides, making sure that no side is undercooked or overcooked. Perfect browning- Get the perfectly caramalised and crispy surface in your grills and roasts without breaking a sweat. No Flipping: No need to guess when to flip the food. No Manual intervention: An end to the frequent lid opening, flipping, and extra time taken to flip food items. To Recieve updates and possible rewards for Usha 360R InfinitiCook please sign in. 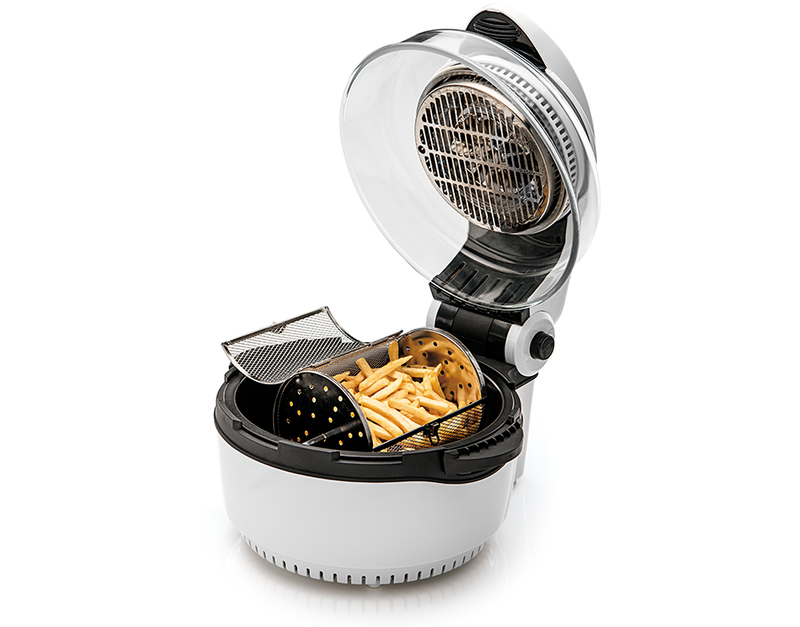 To Recieve updates and possible rewards for Air Fryer and Tandoor please sign in.